You are one step away from signing up..
Like Diablo®? Like MUDs? Like Dungeons and Dragons®? Like Torchlight®? This is a game classified as a a text RPG game and a diablo MUD style game.. Read on..
Godwars is a text-based real-time dungeon crawling adventure where you control up to 100 detailed followers in procedurelly generated dungeons. Experience huge bosses, dragons and other interestng results. If you are familiar with MUDs or pen and paper Dungeons and Dragons - this is a game made for you. It might not be as pretty as Call of Duty or as pampering as World of Warcraft but you will find a raw, deep game if you have the patience to learn something new today. Enjoy. Want to read details on the game? FREE TO PLAY - No catches. 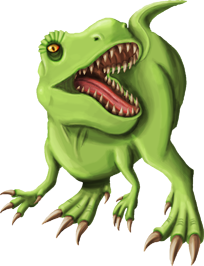 Solve riddles and other mini-games in "click, results" type events such as lock picking or magic mirrors. Tons of art, music and sound to immerse you into the experience. We usually send weekly newsletters(Friday) - Don't miss out! 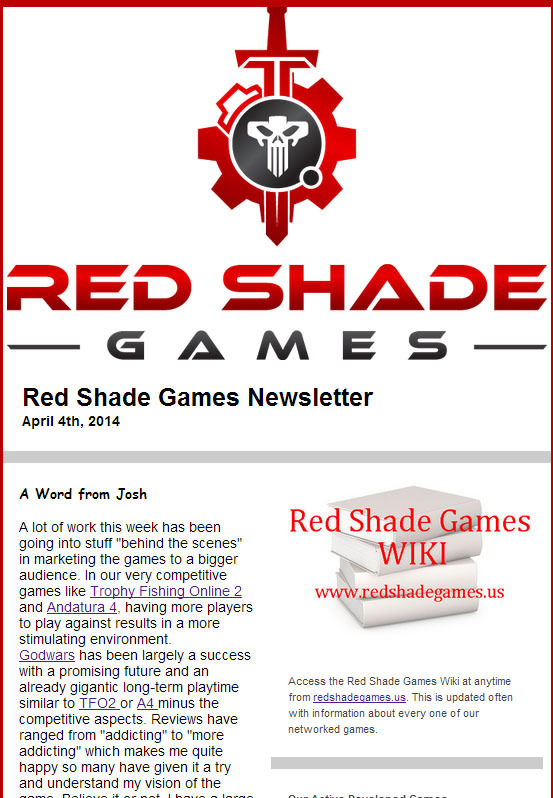 Experience a constant stream of news, promotions and usually weekly PROMOTION codes for free stuff about Red Shade Games. (C)2014 Godwars.us is a Red Shade Games LLC Game.